The Government has now limited the types of refused visa applications which can be challenged at an appeal in the UK. Most applications which are now refused, such as applications under the points based system, have to be challenged by way of Administrative Review. 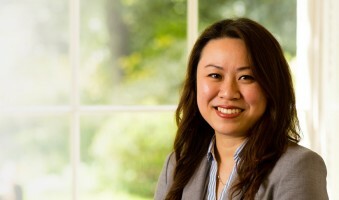 If an application does attract a right of appeal, you must lodge an application with the First-tier Tribunal in the UK stating your reasons (grounds) as to why the decision was wrong. 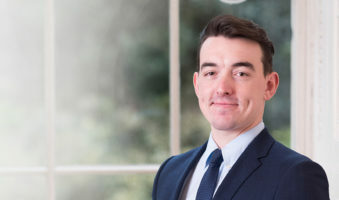 Grounds ought to be reasonably detailed and we have experience in drafting thorough grounds of appeal whereby we tackle each point raised in the refusal notice. There are deadlines within which appeals must be lodged. However, we do have experience in lodging successful out-of-time appeals where for instance clients come to us after the appeal submission deadline has already lapsed. 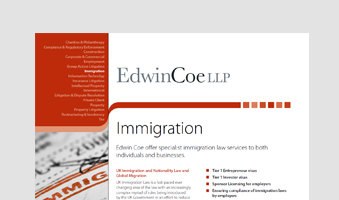 At Edwin Coe we instruct the very best immigration barristers to represent your case at appeal hearings. Over the years we have worked with highly experienced and knowledgeable barristers who we know deliver to ensure that we achieve the desired results for you. We prepare appeal bundles thoroughly before briefing the barristers. We also liaise with the barrister to ensure that he/she is well prepared to represent your case before the Immigration Judge. Where an out of country appeal is lodged an Entry Clearance Manager would have the opportunity to review the Entry Clearance Officer’s decision and can overturn the decision. This also applies to decisions made within the UK by the Home Office. If the matter proceeds to an appeal, your case would be heard before an independent Judge. 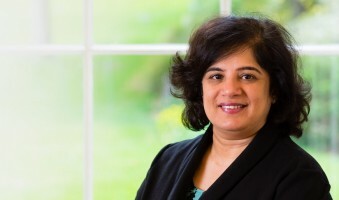 If you lose the case, you can seek permission to appeal to the Upper Tribunal if there is a material error of law in the First-tier Tribunal Judge’s decision. If all fails, you would still be able to file a fresh visa application from outside the UK, or file an application within the UK if you still have valid leave on your last visa. If you opt for an oral hearing, it can take months before the case is listed to be heard. The process can be very costly. The process can take even longer, for example if you win the case but then the Home Office decide to request permission to appeal to the Upper Tribunal. If you win the appeal, it can still take time for the Embassy to actually endorse the passport with the relevant visa or the Home Office to issue the Biometric card. On many occasions, upon taking further instructions from clients and having reviewed the decision to refuse, we would advise that the best course of action in the circumstances would be to lodge a fresh application, as it would be efficient to do so and/or the matter lacks merit.